A young Bruce Wayne has spent his adolescence and early adulthood, traveling the world so he could hone his body and mind into the perfect fighting and investigative machine. But now as he returns to Gotham City, he must find a way to focus his passion and bring justice to his city. 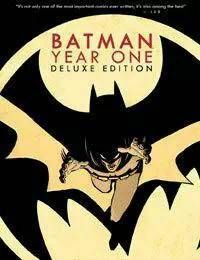 Retracing Batmans first attempts to fight injustice as a costumed vigilante, we watch as he chooses a guise of a giant bat, creates an early bond with a young Lieutenant James Gordon, inadvertently plays a role in the birth of Catwoman, and helps to bring down a corrupt political system that infests Gotham.